ttPRINT ML for high-resolution print quality single or multiline use and individual print Areas. Available with print widths 53mm / 107 mm / 128 mm. 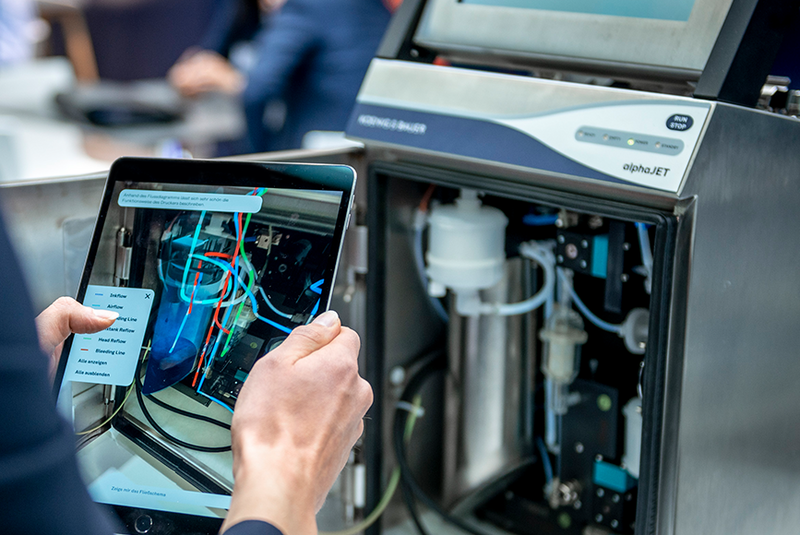 Save valuable production time with our userfriendly operating concept. Achieve the highest level of availability and print quality even on PE, PP, paper, Tyvek etc. with our thermal transfer ribbons specially developed for our ttPRINT. Ink Side IN and OUT films are available in various colours. 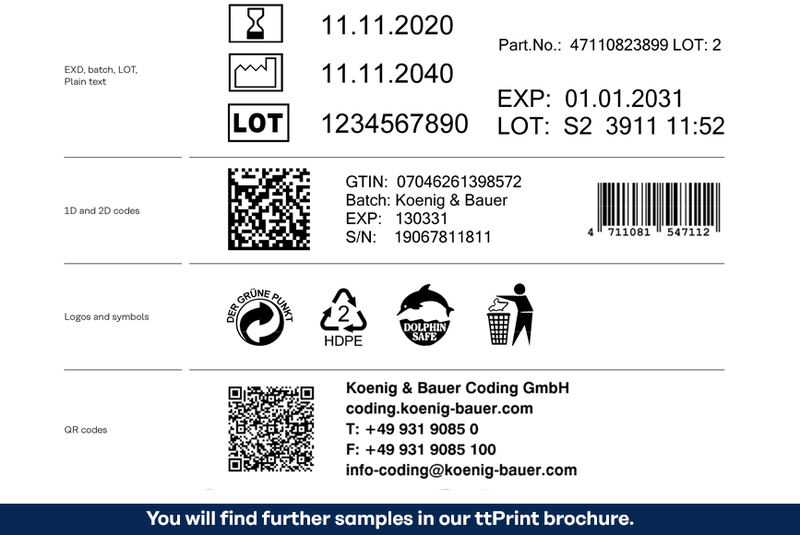 Our thermal transfer printer ttPRINT is the right choice for high-resolution print quality on flexible packaging materials such as flow packs, tray sealing, film, folding boxes and labels. The comfortable, colour TFT-touch display is interactive and easy to use with up to four printing heads. Clever training programs round off this concept. Create possibilities by printing your own ingredients list. Take advantage of the versatility of thermal tansfer printing with individual print areas for single or multiline use. The customised realisation of your requirements is top of our list. Benefit from our decades of know-how in application engineering, integration and security when implementing your project. 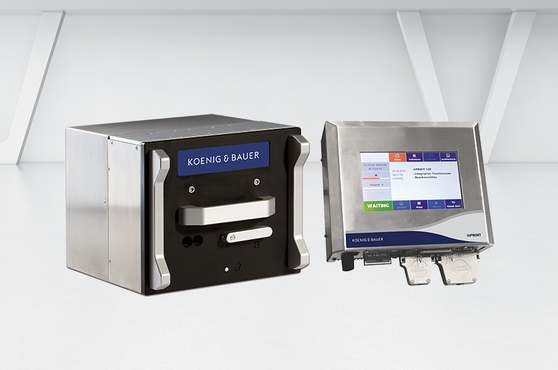 Easy integration into all current labelling and packaging machines provides more flexibility. A comprehensive portfolio of ribbons let you react flexible to customer requests and increases customer loyalty. A competent global sales and service team supports you at any time. 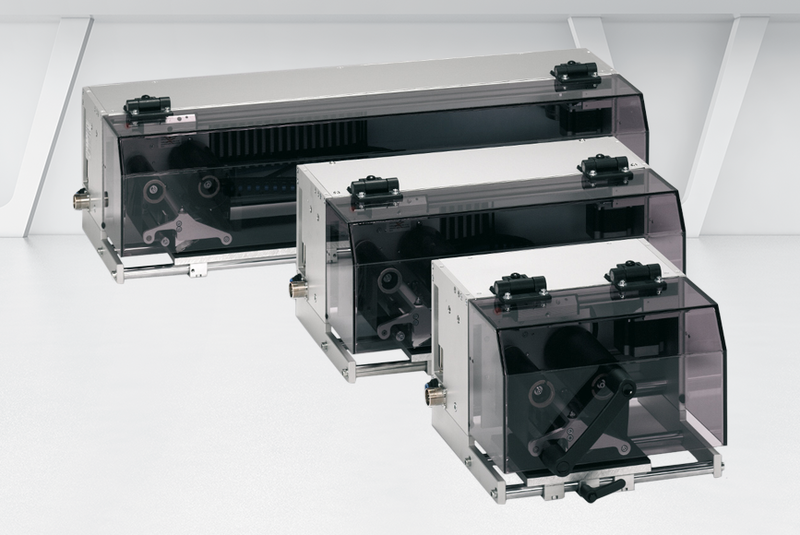 The ttPRINT features a high-resolution inline print unit, various print widths and an easily changeable foil cassette. 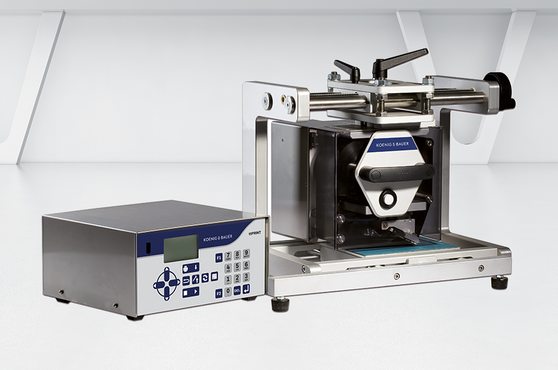 The ttPRINT XS is with it's print area of 53 x 40 mm a cost-saving alternative to other intermittend working thermal transfer printers.